When you're in the market for a new INFINITI, it's important to make sure you're getting the best deal possible. When you turn to the new vehicle specials at INFINITI of Boerne, you can rest easy knowing we have you covered. You can find an INFINITI Q50 and INFINITI QX30 for a price that won't break the bank. 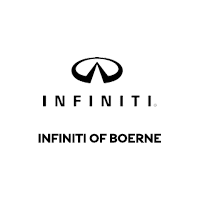 Once you've browsed our new vehicle specials online, visit INFINITI of Boerne for a test drive. We're ready to walk you through the car-buying process and narrow your search to find the new INFINITI that's perfect for you. Feel free to apply for financing in advance or estimate your monthly payments using our auto finance calculator. If you have questions about our new vehicle inventory in the meantime, contact our team for details, or if you would like to visit our San Antonio-area dealership to browse our discounted INFINITI.